abnormality is the other of the norm, deviation the other of law-abiding, illness the other of health, barbarity the other of civilization, animal the other of the human, woman the other of man, stranger the other the native, enemy the other of friend, ‘them’ the other of ‘us’, insanity the other of reason, foreigner the other of state subject, lay public the other of the expert (1991, p. 14). It seems to me that sociologists could be seen as the ‘other’ both within my organisation and the wider national security research arena. This is not only because there are not many of us, but also because our ontological beliefs, epistemology and the way in which we represent knowledge runs counter to the ways in which other researchers and analysts communicate scientific ideas. The employment of sociologists in this field is unusual; our presence signifies a reconstruction of how the national security community perceives itself, and what people in the outside world imagine we do. This paper presents a subjective reflection of my experiences in trying to represent sociological knowledge within this environment, specifically in regards to issues of quantification and visualisation of qualitative data and abstract sociological concepts and theories. I worked* in an interdisciplinary social modelling team within the Australian public service. * This organisation* has been proactive in identifying a need to understand the complexities of human behaviour, but many people within the defence and national security community do not really understand what sociology can actually do. The overwhelming majority of researchers working on defence and national security issues comfortably represent their scientific problems using mathematical language and computer tools. They mostly take for granted that their disciplines’ theories and concepts can somehow translate into a visualisation technique, whether it be a diagram, graph or simulation. When I try to explain to colleagues outside my team how it is that I carry out my research I say: ‘I deal with words’. This usually strikes them as quite an alien notion. I am trained as a qualitative researcher, and I’m afraid that the use of images in my work has thus far been largely confined to descriptive tables that summarise my analysis via text, rather than via quantitative figures or symbols. The sociologists’ world is not black and white; instead, we analyse the subtleties of grey found in the social realm. Because we are taught to appreciate complexities, the social phenomena and research problems that we study do not have a straightforward answer. In the national security domain, however, the communication of sociological knowledge somehow needs to convey such complexities in a way that will be ‘heard’, understood and ‘translated’ to different research outcomes. This communication is no easy task, given that national security research is dominated by an ontology of observable and quantifiable ‘facts’ and a positivist epistemology that seeks to establish relationships between physical phenomena. The next section discusses the tensions between positivist and qualitative sociological representations of knowledge, particularly as they relate to formal models that quantify the social dimensions of terrorism. Next, I discuss a case study where I reflect on my recent experience of being asked to represent Durkheim’s (1979) suicide typology in graphical form. Finally I discuss the wider implications of communicating sociological concepts and theories to the national security community. For various reasons, there has never been such a simple correspondence between mathematical structures and the structures of relations between elements in social science. One of the reasons has been that no generally useful and easily measurable set of elements (or ‘concepts’) has been posited in most of social sciences… [T]he kinds of verbal theories and research results which have been set forth are so vaguely stated or so weak that it is difficult to translate them to mathematical language, and once translated they often fail to show an isomorphism with power parts of mathematics (1964, p. 3). Christofer Edling (2002) argues that mathematics can be understood as a type of ‘language’ that formalises logic, that is, it proposes a set and specialised reasoning about social phenomena. In this meaning, Edling argues that there is no reason why this language cannot ‘translate’ sociological analysis. He writes, ‘if anything meaningful at all can be said about society, there are no grounds for claiming that it cannot be done with mathematics’ (2002, p. 199). Nevertheless, he notes that this view begets the question on what types of sociological knowledge are appropriately served by quantified representations. This might seem like a mute point to many sociologists: we all accept the idea that qualitative and quantitative methodologies are equally worthy, because they help us understand different research questions. Some problems are better served by one method or the other, or sometimes both. This is, however, not taken-for-granted knowledge within a national security research framework, where quantification and positivism reign supreme, and where qualitative representations of sociological knowledge are problematic because they do not offer ‘rules’, ‘truths’ and universally accepted conceptual relationships between observable phenomena. Stephen Cole (2001) argues that part of the reason that sociology does not ‘progress’ to the extent to which the natural sciences have in the public realm is because we cannot agree on a set of ‘core’ knowledge, such as a set of principles that might be treated as ontological ‘truths’. Partly, he argues it is also the outcome of sociology’s ‘failure’ to follow positivist methodologies. The assumption in this line of argument is that because positivist knowledge is applied in a more theoretically bounded way that is acknowledged in the public discourses as ‘expert’ knowledge, then this must be a good reason to follow the natural sciences model. James Davis questions whether sociology’s ontological diversity is actually a weakness: ‘Since I hear no one claiming that sociology really is coherent, there is no need to labour the case. But it may be worth asking whether incoherence is really bad’ (2001p. 101). Unlike the humanities and economics, sociology places high value on empirical truth, perhaps too high a value. As in some religions where the sacred is so awesome one never mentions it but beats around the bush with euphemisms and indirect hints, sociologists have a hard time coming out and saying ‘Black voters prefer the Democrats’… there’s an enormous difference between qualifications stemming from scientific procedures and qualifications stemming from handwringing and pussyfooting (2001, p. 102). Responses to national security, especially terrorism, are thus far governed by positivist frameworks, the outcome of which is usually some form of quantified model. Although there are different ways of thinking about what constitutes a ‘model’, in national security research, modelling is often relegated to mathematical equations, software packages, and other technical tools aimed at calculating causalities, preventing infrastructure damage, enhancing surveillance and so on (Resnyansky 2006). Social modelling offers more than just a visualisation technique; social models are created to explore different scenarios involving complex socio-economic systems and the interaction of social agents within a controlled environment. As Ed MacKerrow argues, however, the major difficulty in building such models is ‘in quantifying social situations’ (2003: 186). Social scientific theories should ideally inform the planning of social models, but there is little guidance on how to use social theories and concepts, particularly in order to question why and when mathematical models and computer simulations are necessary, and how to best represent the parameters, strategies and properties of a model (Brent, Thompson and Vale 2000; Macy and Willer 2002; Resnyansky 2007; Wu and Sun 2005). Not all social scientific concepts can be easily quantified and folded into formal models. Below, I discuss my experience in one attempt, to explore sociology’s ‘otherness’ in the national security field, specifically in the way in which it represents theories and concepts. I recently completed a study that reinterpreted the suicide terrorism literature using Durkheim’s (1979) classic typology of suicide, originally published in 1897. I will not detail the particulars of this research here, but instead, focus on my representation of Durkheim’s suicide typology (for an earlier version of this research see Zevallos 2006). In my report, I describe Durkheim’s classic study of suicide in detail, as well as the critique of his research. Durkheim’s typology of suicide revolves around two concepts that are related but not necessarily interdependent. Social integration refers to the ways in which society achieves a sense of collective purpose and the ways it maintains a sense of connectedness among its members. Social regulation refers to the ways in which society controls and restricts individuals’ freedom and their sense of autonomy, and the ways in which it polices social norms. Durkheim constructed four types of suicide that relate to these concepts. Briefly, egoistic suicide occurs when there is insufficient social integration; conversely, altruistic suicide occurs where there is excessive social integration. Anomic suicide occurs where there is not enough social regulation; and fatalistic suicide occurs where there is excessive social regulation. Durkheim presented these as ‘ideal types’, meaning that they describe the general trends in suicide and the characteristics of societies that may lead to such suicides. These suicide types are not mutually exclusive because several of these suicide types can co-exist in any given society, especially given that individuals belong to several different communities at any one time. For example, Durkheim examined how the social institutions of family, politics, religion and the economy affected suicide. The typology describes the distinctiveness of different forms of suicide at the social level, but these suicide types might appear in different contexts through various combinations, for example, egoistic-anomic, anomic-altruistic, and ego-altruistic (1979, p. 293). In earlier drafts of my research, I had simply discussed the typology in detailed prose, as I have done above, but with a rigorous elaboration of specific examples. One of my senior managers asked whether I would think about how to represent my discussion in a different way, with a view to maturing the bridge with computational modellers. He suggested that Bayesian techniques might be useful in transforming my research into a formal model. More to the point, this was his attempt to show me how I might think about visuallyrepresenting my discussion of sociological concepts and theories. So it was that I devised a table to represent Durkheim’s typology (below). Table 1: Durkheim’s Suicide Typology. Zevallos 2012. Adapted from Durkheim (1979: 293) and Zevallos (2007: 5.). The table simply summarises my writing on Durkheim’s typology, but my manager said that it made the typology clearer. My report went off to an international referee who is an anthropologist working for an overseas government agency and who specialises in terrorism studies. While the referee did not have any theoretical criticisms of my research, he recommended that I plot Durkheim’s typology of suicide in a graph, using the concept of social regulation along the ‘x’ axis, and social integration along the ‘y’ axis. The referee writes, specifically in reference to the table above: ‘I do think some graphical presentation would help some of the military audience take in the information in the fairly dense tables’ (my emphasis). It is evident in both of these attempts that Durkheim’s four suicide types end up at extreme ends of both graphs because they are ‘ideal’ types. My attempt to graph them was like trying to fit a square peg into a round role. In this case, there was an assumption that the conceptual ‘greys’ so beloved by sociologists could, and should, be represented in a specific (more ‘black and white’) format. Just because I could not carry out the graphical journey to a successful end does not mean that it absolutely cannot be done; indeed, as my work matures, it may well inform my colleagues’ social models in some way. Instead, I ask, how does a graphical representation increase understanding of Durkheim’s meaning? Even when we can express what seem to be the same meanings in either image-form or writing or speech, they will be realised differently. For instance, what is expressed in language through the choice between different word classes and clause structure, may, in visual communication, be expressed through the choice between different uses of colour or different compositional structures. And this will affect meaning. Expressing something verbally or visually makes a difference (2006, p. 2). Visualisation techniques can enhance the communication of mental models and they can also be used to explore other abstract knowledge in different ways. At the same time, visual representations are not necessarily more meaningful, or easier to understand than written texts. Some meanings are best represented in written form, others visually, sometimes both – but translating text into a sign, symbol, image or other visual schema changes the meaning. I have come to accept that social scientists, particularly those who work with qualitative data, need to work harder to use visual representations of complex social processes where this is possible and where there is heuristic merit in doing so. At the same time, however, in order for national security research to be truly interdisciplinary, there should be an enhanced appreciation for the scientific merit of sociology’s conceptual frameworks as a means and an end in and of themselves. Qualitative data can sometimes be usefully represented in diagrams, charts and so on, but not always. Quantified visualisation displays need to match the scientific aims of the research; they have the seductive disadvantage of seeming to be easier to understand, particularly in an interdisciplinary context. Edward Tufte, an avid enthusiast of visual ‘explanations’ of quantitative data warns: ‘Failure to think clearly about the analysis and the presentation of evidence opens the door for all sorts of political and other mischief to operate in making decisions’ (1997, p. 52). The concept of ‘otherness’ is problematic because it rests upon essentialist notions of difference, and simplified, often superficial, delineations of belonging/not belonging. In the context of my working environment, my suggestion of sociology as ‘other’ may seemingly demarcate an almost irreconcilable ontological division between social modelling and phenomenological sociology. In reality, however, this division is more about finding the best way to practically reconcile a mid-way point. Applications of social models within counter-terrorism research, sociological and otherwise, are sorely needed in order to critically assess security issues. The national security community understands that sociology is important, but what to do with it, how to read it, and work with it, are different matters. This tells me, in part, that sociology as a discipline still has to work harder in promoting sociological knowledge in wider contexts outside academia, so that people without social science degrees learn to recognise and ‘read’ conceptual frameworks, theoretical discussions and qualitative analyses as ‘science’. I do not suggest that everyone needs to become a sociologist, but, rather, our discipline’s aims, strengths and capabilities could be better and more broadly understood at a generalised level. If I did not believe that sociology had something to offer social modelling, I would not continue as a member of the social modelling team. The challenge is in gaining recognition of sociological concepts and theories as analytical ‘models’ that can then be folded into other applications. My team is working to achieve an integration of social sciences within social models that somehow capture the sophistication of sociological knowledge in an applied manner. While I have no ready solutions or neat conclusion at this stage, I offer my reflections as a way to capture the ongoing challenges in overcoming sociology’s otherness within the national security habitus. Brent, E., Thompson, A., & Vale, W. (2000). Sociology: a computational approach to sociological explanations. Social Science Computer Review, 18, 223-235. Cole, S. (2001). Why sociology doesn’t make progress like the natural sciences. In S. Cole (Ed. 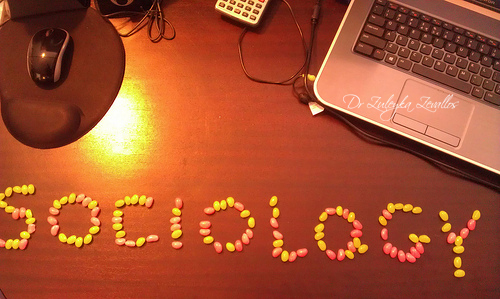 ), What’s wrong with sociology? (pp. 37-60). New Brunswick: Transaction Publishers. Coleman, J. S. (1964). Introduction to mathematical sociology. London: The Free Press. Davis, J. A. (2001) What’s wrong with sociology? In S. Cole (Ed.) What’s Wrong With Sociology? (pp. 99-120). New Brunswick: Transaction Publishers. Douglas, M. (1982). Introduction to grid/group analysis. In M. Douglas (Ed.) Essays in the sociology of perception (pp. 1-8). London: Routledge. Durkheim, E. (1979). Suicide: A study in sociology. (G. Simpson, Ed., J. A. Spaulding and G. Simpson, Trans.). New York: The Free Press. Edling, C. R. (2002). Mathematics in sociology. Annual Review of Sociology, 28: 197-220. Ferrarotti, F. (1999). The social character of science: The lessons of positivism. International Journal of Politics, Culture and Society, 12, 535-553. Macy, M. & R. Willer (2002). From factors to actors: computational sociology and agent-based modeling. Annual Review of Sociology, 28, 143-166. MacKerrow, E. (2003). Understanding why – dissecting radical Islamist terrorism with agent-based simulation’, Los Alamos Science, 28, 184-191. Resnyansky, L. (2006). Conceptualisation of terrorism in modelling tools: critical reflexive approach. In K. Michael & M. G. Michael (Eds) The First Workshop On The Social Implications Of National Security: The Social Implications Of Information Security Measures On Citizens And Businesses (pp. 223-230). Wollongong: University ofWollongong, Centre for eBusiness Application Research. Wu, H-C & Sun C-T (2005). What should we do before running a social simulation? The importance of model analysis. Social Science Computer Review, 23, 221-234. Zevallos, Z. (2006). 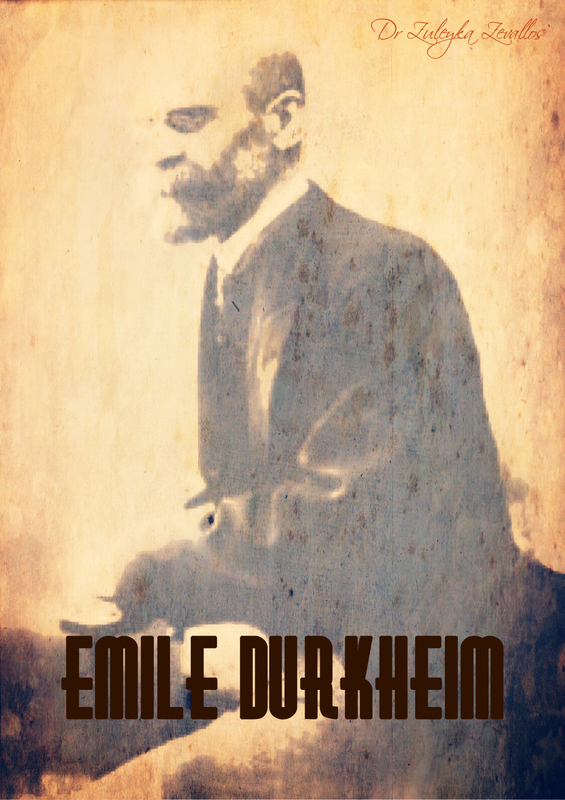 What would Durkheim say? Altruistic suicide in analyses of suicide terrorism. In V. Colic-Peisker and F. Tilbury (Eds) Proceedings of the Annual Conference of The Australian Sociological Association: Sociology for a mobile world, 4-7 December. Perth: University of Western Australia. Citation for original article below. To access the original as a PDF, click on the link below. Zevallos, Z. (2007) ‘Sociology as “Other” Representing Sociological Knowledge within a National Security Context’, in B. Curtis, S. Matthewman and T. McIntosh (Eds) Public Sociologies: Lessons and Trans-Tasman Comparisons. TASA/SAANZ 2007 Joint Conference Proceedings. Auckland: University of Auckland. Very cool paper. I’m in the midst of the application process for a Sociology Phd, and my research has previously been very qualitative in nature. I like your point that we should try to present our findings visually, in so far as it is actually a useful way to present them. I think in some ways, charts, figures and numbers are the symbolic currency of legitimacy in science, and as a qualitative sociologist, that currency can be hard to come by. Thanks for your comment. Yes it is very hard to get qualitative minds around visual ways of presenting our data. You’re quite right, visual representations have greater currency in the wider world. 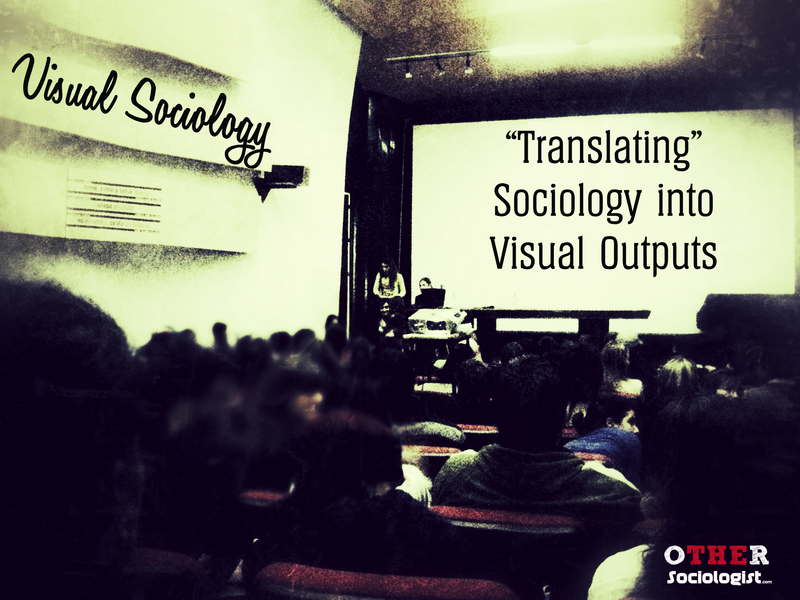 I’ve been working on an overview of visual sociology, how it works and the challenges associated with it. I hope this might help you. Good luck with your PhD application! Keep in touch and let me know what your topic ends up being. Best wishes, Zuleyka.